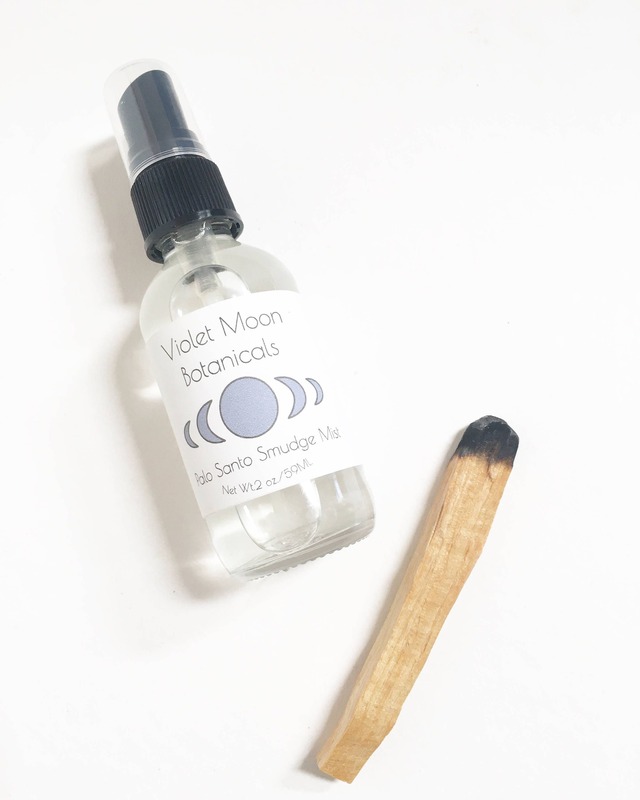 Use this palo santo smudge spray as an on the go secret weapon to promote good vibes and dispel negative energy! This mist is perfect for situations where you don't want to use a smoking smudge stick. 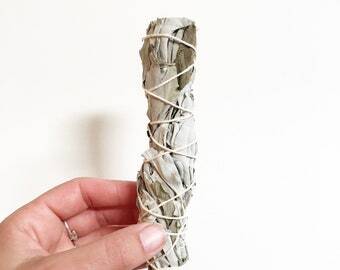 Use in your home for a quick and easy cleanse on yourself, or your space. 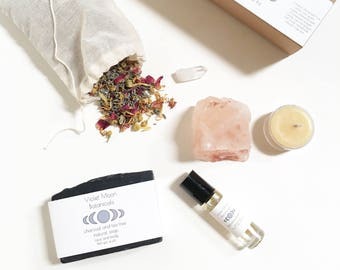 This smudge mist is perfect to cleanse and combat negative energy, or as a pleasant smelling body and room spray. Also great in ritual uses, aura cleansing, and mediation. Sea salt infused into purified water adds cleansing and purifying properties. This water is then infused with a quartz crystal that has been cleansed and charged under the full moon. Quartz adds vibrations of pure healing energy, to promote positive thoughts and release of negativity. These combined with palo santo essential oil creates a spray perfect for combating negative energy, cleansing, and purifying. Palo santo has been used as a smudging herb for centuries in rituals to purify, cleanse and dispel negative energy. It has been shown to clear the air of bacteria, as well as release negative ions, which may help promote a positive mood. Directions: SHAKE WELL BEFORE USE. Use this spray whenever you need to cleanse the energy in your space or yourself. 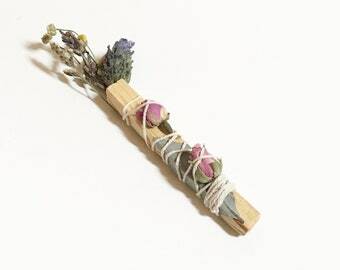 Like palo santo sticks, this spray is great for use in rituals, meditation, or just as a body spray. Ingredients: purified water, quartz crystal, witch hazel, sea salt, palo santo essential oil. 1 made to order glass bottle with spray top containing 2oz. 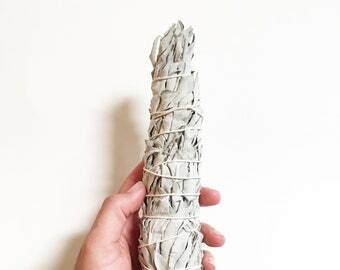 of Palo Santo Smudge Mist. OMG! What a lovely fragrance! Love the glass bottle, the crystal inside, and the packaging. Came just in time to cleanse my space for the strawberry new moon. I'm gifting the second to a friend and I know she'll love it as much as I do. Thank you!!! I love this stuff. It really helps clear out the negative energy in my office. Beautifully packaged, arrived quick, and smells great. Can't wait to use it in my new house I just rented!